I haven’t actively written about politics or public policy in years, but Senator Rand Paul’s Obamacare replacement proposal is worth talking about. In full text below, Dr. Paul’s new bill addresses the two biggest problems with the American healthcare system: cost and portability. Almost all healthcare “solutions” coming out of DC have focused on how government is going to step in with some master plan and magically fix everything with a one size fits all approach that always requires more money and more government control, but no plan has taken the path toward – empowering consumers, incentivizing self-interest, increasing competition amongst insurers and building mechanisms that provide flexibility for what we do with our money! I can’t possibly express how thrilling it is that someone in DC finally has a plan to address the problems plaguing the healthcare system, not just construct a monstrosity of bureaucracy and mandates that ignore natural drivers in the market. Well done, Dr. Paul. Well done. I’ll be writing on the individual components of this proposal over the next few weeks, but for now – scan the big bullet points in the bill below. The Obamacare Replacement Act (S. 222) Sen. Rand Paul, M.D. Repealing Obamacare – Effective as of the date of enactment of this bill, the following provisions of Obamacare are repealed: o Individual and employer mandates, community rating restrictions, rate review, essential health benefits requirement, medical loss ratio, and other insurance mandates. Provides a two-year open-enrollment period under which individuals with pre-existing conditions can obtain coverage. Restores HIPAA pre-existing conditions protections. 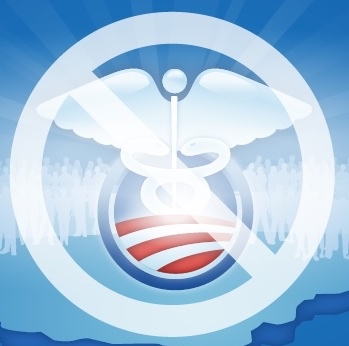 Prior to Obamacare, HIPAA guaranteed those within the group market could obtain continuous health coverage regardless of preexisting conditions. Individuals who receive health insurance through an employer are able to exclude the premium amount from their taxable income. However, this subsidy is unavailable for those that do not receive their insurance through an employer but instead shop for insurance on the individual market. Equalizes the tax treatment of the purchase of health insurance for individuals and employers. By providing a universal deduction on both income and payroll taxes regardless of how an individual obtains their health insurance, Americans will be empowered to purchase insurance independent of employment. Furthermore, this provision does not interfere with employer- provided coverage for Americans who prefer those plans. Tax Credit for HSA Contributions o Provides individuals the option of a tax credit of up to $5,000 per taxpayer for contributions to an HSA. If an individual chooses not to accept the tax credit or contributes in excess of $5,000, those contributions are still tax-preferred. Maximum Contribution Limit to HSA o Removes the maximum allowable annual contribution, so that individuals may make unlimited contributions to an HSA. Eliminates the requirement that a participant in an HSA be enrolled in a high deductible health care plan o Currently, in order to be eligible to establish and use an HSA, an individual must be enrolled in a high-deductible health plan. This section removes the HSA plan type requirement to allow individuals with all types of insurance to establish and use an HSA. o This would also enable individuals who are eligible for Medicare, VA benefits, TRICARE, IHS, and members of health care sharing ministries to be eligible to establish an HSA. Allowance of Distributions for Prescription and OTC Drugs o Allows prescription and OTC drug costs to be treated as allowable expenses of HSAs. Currently, HSA funds may not be used to purchase insurance or cover the cost of premiums. Allowing the use of HSA funds for insurance premiums will help make health coverage more affordable for American families. Medical Expenses Incurred Prior to Account Establishment o Allows qualified expenses incurred prior to HSA establishment to be reimbursed from an HSA as long as the account is established prior to tax filing. Administrative Error Correction Before Due Date of Return o Amends current law by allowing for administrative or clerical error corrections on filings. Allowing HSA Rollover to Child or Parent of Account Holder o Allows an account holder’s HSA to rollover to a child, parent, or grandparent, in addition to a spouse. Equivalent Bankruptcy Protections for HSAs as Retirement Funds o Most tax-exempt retirement accounts are also fully exempt from bankruptcy by federal law. While some states have passed laws that exempt HSA funds from being seized in bankruptcy, there is no federal protection for HSA funds in bankruptcy. Certain Exercise Equipment and Physical Fitness Programs to be Treated as Medical Care o Expands allowable HSA expenses to include equipment for physical exercise or health coaching, including weight loss programs. Nutritional and Dietary Supplements to be Treated as Medical Care o Amends the definition of “medical care” to include dietary and nutritional supplements for the purposes of HSA expenditures. Certain Providers Fees to be Treated as Medical Care o Allows HSA funds to be used for periodic fees paid to medical practitioners for access to medical care. Capitated Primary Care Payments – HSAs can be used for pre-paid physician fees, which includes payments associated with “concierge” or “direct practice” medicine. Provisions Relating to Medicare – Allows Medicare enrollees to contribute their own money to the Medicare Medical Savings Accounts (MSAs). Amends the Internal Revenue Code to allow a physician a tax deduction equal to the amount such physician would otherwise charge for charity medical care or uncompensated care due to bad debt. This deduction is limited to 10% of a physician’s gross income for the taxable year. Establishes Independent Health Pools (IHPs) in order to allow individuals to pool together for the purposes of purchasing insurance. Amends the Public Health Service Act (PHSA) to allow individuals to pool together to provide for health benefits coverage through Individual Health Pools (IHPs). These can include non- profit organizations (including churches, alumni associations, trade associations, other civic groups, or entities formed strictly for establishing an IHP) so long as the organization does not condition membership on any health status-related factor. Requires that the IHP will provide insurance through contracts with health insurance issuers in fully insured plans and not assume insurance risk with respect to such coverage. Allows the IHP to provide administrative services to members, including accounting, billings, and enrollment information. Increases access to individual health coverage by allowing insurers licensed to sell policies in one state to offer them to residents of any other state. Exempts issuers from secondary state laws that would prohibit or regulate their operation in the secondary state. However, states may impose requirements such as consumer protections and applicable taxes, among others. Prohibits an issuer from offering, selling, or issuing individual health insurance coverage in a secondary state: o If the state insurance commissioner does not use a risk-based capital formula for the determination of capital and surplus requirements for all issuers. o Unless both the secondary and primary states have legislation or regulations in place establishing an independent review process for individuals who have individual health insurance coverage; or o The issuer provides an acceptable mechanism under which the review is conducted by an independent medical reviewer or panel. Gives sole jurisdiction to the primary state to enforce the primary state’s covered laws in the primary state and any secondary state. Allows the secondary state to notify the primary state if the coverage offered in the secondary state fails to comply with the covered laws in the primary state. Association Health Plans (AHPs) allow small businesses to pool together across state lines through their membership in a trade or professional association to purchase health coverage for their employees and their families. AHPs increase the bargaining power, leverage discounts, and provide administrative efficiencies to small businesses while freeing them from state benefit mandates. While AHPs currently exist, strict Department of Labor standards exist regarding the types of organizations that may qualify as a single large-group health plan under ERISA. The standard stipulates that the association must be a group of employers bound together by a commonality of interest (aside from providing a health plan) with vested control of the association to such an extent that they effectively operate as one employer. This is considered a difficult standard for most associations to meet. Amends ERISA to define AHPs and allow for their treatment as if they were large group single employer health plans. This definition would allow a dues-collecting organization maintained in good faith for a purpose other than providing health insurance to benefit from the insurance regulation exclusions currently afforded to large-group health plans under ERISA. Requires solvency standards to protect patients’ rights and ensure benefits are paid. o Requires AHPs to have an indemnified back-up plan in order to prevent unpaid claims in the event of plan termination. o AHPs must undergo independent actuarial certification for financial viability on a regular basis. o Requires AHPs to maintain surplus reserves of at least $500,000 in addition to normal claims reserves, stop loss insurance, or indemnification insurance. Provides an exemption from Federal antitrust laws for health care professionals engaged in negotiations with a health plan regarding the terms of a contract under which the professionals provide health care items or services. This section applies only to health care professionals excluded from the National Labor Relations Act. It would also not apply to contracts or care provided under Medicare, Medicaid, SCHIP, the FEHBP, or the IHS as well as medical and dental care provided to members of the uniformed services and veterans. Provides new flexibilities to states in their Medicaid plan design, through existing waiver authority in current law. For many years, including under Obamacare, States have had the option to request a waiver from HHS to allow states to test new coverage rules under Medicaid and other programs. This provision would allow states to make changes to their Medicaid plans without interference from Washington. Amends the definition of “health insurance coverage” under the Public Health Service Act (PHSA), and parallel sections of ERISA and the Tax Code, to clarify that stop-loss insurance is not health insurance. This provision is designed to prevent the federal government from using rule-making to restrict the availability of stop-loss insurance used by self-insured plans.